Does blockchain give organizations superhuman powers when it comes to processing data? What’s the link between Mahatma Gandhi and the virtual classroom? Can the truth be stranger than fiction? Genericcialis on Navroze Mubarak! A very happy New Year to everyone on this auspicious day. Frank Bennett on Killing a few sacred cows? 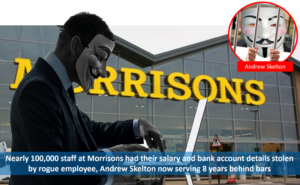 Supermarket giant Morrisons has been found vicariously liable for the actions of a rogue member of staff who stole the personal data of thousands of workers and posted it online in revenge for disciplinary action taken against him by the company. On 1 December 2017, Mr Justice Langstaff at the High Court ruled that Morrisons was vicariously liable for the personal data breach that leaked their names, addresses, salaries, bank account details, national insurance and other sensitive personal data on line. 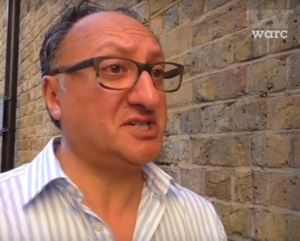 In July 2015, former internal auditor Andrew Skelton was found guilty at Bradford Crown Court of fraud, securing unauthorised access to computer material and disclosing personal data and jailed for eight years.